Discover your new fully renovated Novotel Thalassa Le Touquet hotel. Its stylish modern design combines natural materials and clean lines. 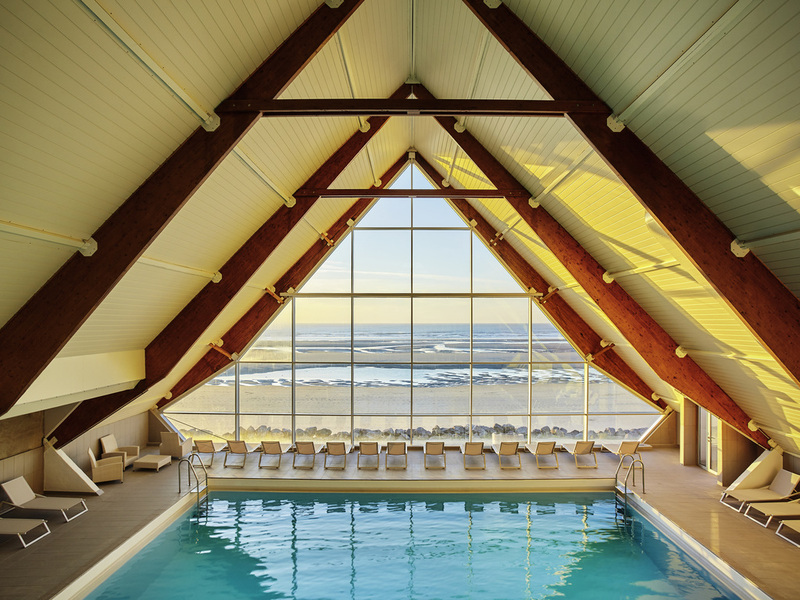 Discover the pearl of the Opal coast at Novotel Thalassa le Touquet. Enjoy the comfortable rooms of the hotel by the dunes or within view of the sea. For a relaxing weekend with two or the family, treat yourself to a walk on the beach. With sailing, paddles, kitesurfing, tennis or golf courses, athletes are also fulfilled. The fitness room and La Thalasso are currently closed for work. The Thalasso Center and fitness room are currently closed for renovation. The heated sea water pool will be closed until January 23rd, 2019, inclusive. Whether it's for lunch or a drink, indoors or on the terrace, come and discover our fresh gourmet cuisine with your feet in the sand. The cocktail menu will make you forget your usual Mojito! Here, you fill your cup of coffee with real grains, your glass of smoothies with cold-pressed fruits and vegetables! Lokasyonu mükemmel, oda yer parkeleri eski gibi.